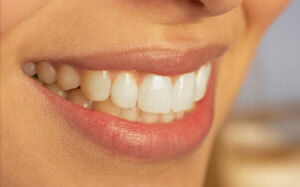 Crowns restorations are similar to veneers, because they too are attached to individual teeth. Crowns completely cover the tooth on all sides, helping to correct any problems that your might have with alignment. Crowns are used to repair teeth that have undergone root canals, have severe erosion, or extreme corrosion from silver amalgam fillings. The use of crowns is essential in any situation that requires greater strength and aesthetics. Crowns are fabricated from ceramic or metal, and mimic the adjacent teeth. The aesthetics of Procera ® restorations represent the ocrowns before and after proceraptimum in all-ceramic systems. Preparations require removal of less tooth structure, and cementation can be accomplished using proven, conventional techniques. Colorable frameworks that are thin and translucent ensure a natural and vital appearance. 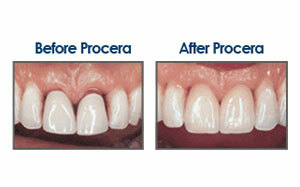 Procera ® crowns and bridges provide some of the most durable and esthetic all-ceramic restorations available today.